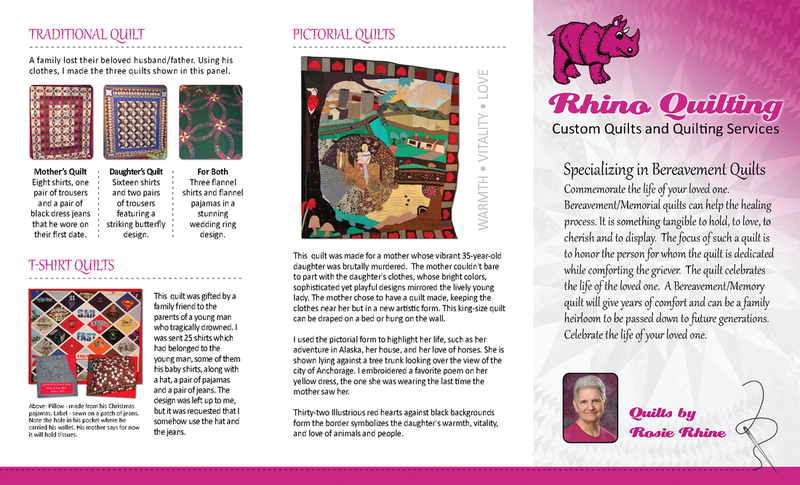 Rhino Quilting - Shiela Strubel Design - Strubel Studios, Inc.
Rosie Rhine has been quilting since 1973 when she made her first quilt, a log cabin quilt made from material saved from shirts she made for her four little boys, each piece cut out the old fashioned way – with scissors. 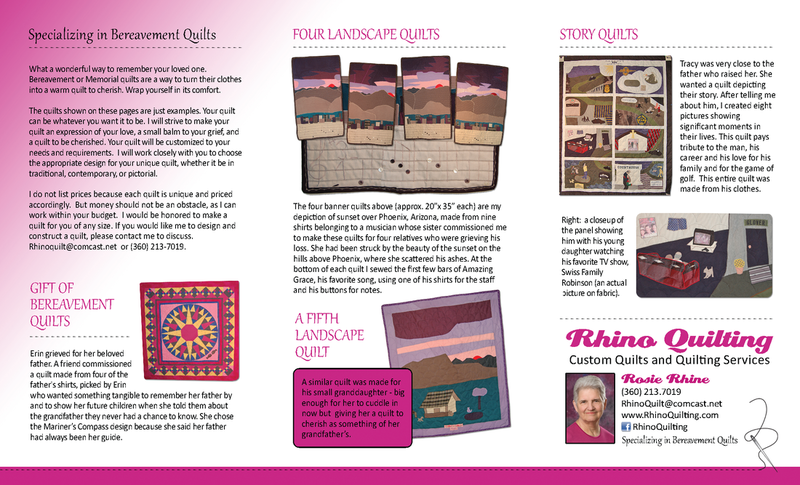 She gave that memorable quilt to her oldest son, then aged 15, who gave it to his girlfriend. Unfortunately the relationship didn’t last and that quilt has never been seen again! Only recently has she forgiven her son. 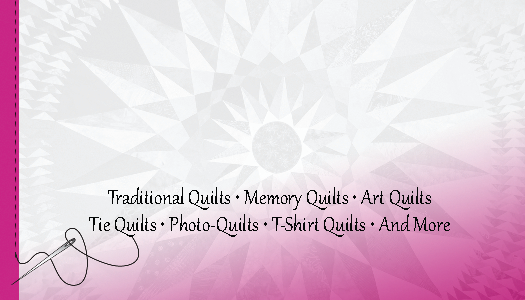 Since then she's graduated to more sophisticated tools such as a longarm quilting machine which allows greater range and flexibility in quilting. 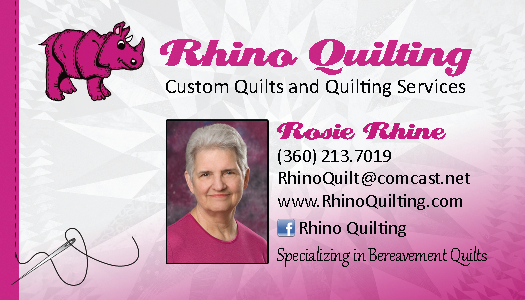 Rosie's built a business making quilts for others.